Lake litter pick-up in canoes! About Lake litter pick-up in canoes! Join others in canoes/kayaks (bring your own if you want!) as you paddle into the cypress swamps, grabbing litter that has made its way into our waterways. 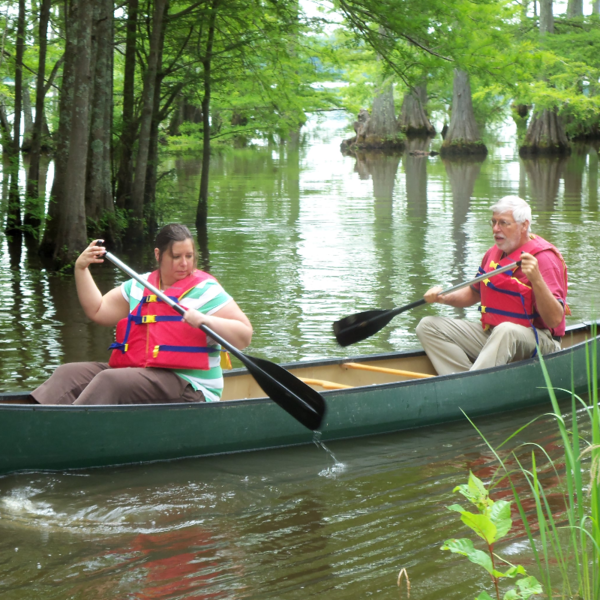 Noxubee will provide the paddles, life vests, and canoes/kayaks, we just need YOUR help! In order to participate---you MUST email taylor_hackemack@fws.gov or call 281/723-0326 (leave a message if I don't answer!) so that we can reserve your seat! Let's help clean the lake and have some fun on the water while doing so! Canoe time runs 8am-10am the morning of August 25th. All necessary volunteer forms will be available on site--just be sure you have a Noxubee entrance pass displayed on your vehicle's dashboard when you arrive. Log in to see who is volunteering for Lake litter pick-up in canoes! !